Okay, folks, the time is here. My Auntie Allia's Book, Women Who Still Love Cats Too Much has launched on Amazon. So pad on over and get a copy, while it's four dollars off the original price. Meantime, me and my pals have put on our party hats and we is cel-e-brating! 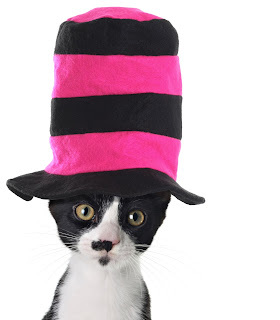 And what a bash my aunt put on: There was head of mouse, chicken chips, snake bits, and gopher eyes on the buffet, and the desert tray was filled with all manner of salmon and meat treats, catnip cupcakes, and a fillet of sole mousse cake that had a photo of the book on top. All I have to say is one word: Meow-za! I consider myself a forceful woman--not given to many crutches. No nightlight keeps vigil while I sleep; spiders don’t make me squeamish; and I know where the oil goes in my car. Still, I do have this one overwhelming Achilles heel (and it’s not from my Christian Louboutins). It’s because of my cats. I love them too much. So, okay, I admit it: I’m cat codependent. It’s an addiction I’ve struggled with all my life. But happily, these days, I’m not alone. Women (and men) everywhere have caught on to what I’ve known for years. There’s no getting “enough” of cats, which is why an aurilliphile like myself will spend hours on Facebook and YouTube pawing over cat videos. That is, when I’m not trolling the net or at cat shows spending a fortune on cat paraphernalia. Just say, “Cat” and I’m on line to buy “it,” whatever “it” is—clothing, jewelry, a tattoo, and a coupon for a cat café. Why I’m even contemplating plastic surgery to look more like my cat. It wasn’t always like this. In the days before Grumpy Cat and Lil Bub, most people thought I was a joke, the image of the infamous cat lady gone over the edge. Yeah, but what did those naysayers know? Back then, the general populace thought a cat was, well, just a cat. They had no idea. It’s only now that cats are getting the respect they deserve. It’s only recently that people have come to see them as the loyal, loving, entertaining—not to mention gloriously regal and handsome—creatures they are. It’s only today that the cat reclaims the honored place she had back when pharaohs wore snakes on their heads and people rode to work on chariots. Even in this era of the cat, though, some people still snicker that I go overboard. They don’t realize I’m in recovery, and things take time. However, I am getting better. Litter by litter. Why only last week, I bought scoopable on sale instead of the designer brand I’ve imported in the past. I saved two bucks, but I felt like a cad. True to their self-sacrificing nature, the little darlings took it on the chin. They only did their business twice on the rug. Truth is, the recession hit us all hard. So I have had to cut back in other ways, too. And it almost broke my heart. It isn’t easy explaining to fur children who’re used to having the air-conditioning and HDTV on all day that they have to sweat and look out the window. And when Sineady Cat, the Fraidy Cat, whined for an iPad so she could play “Whack the Mousie,” I couldn’t refuse. In the end, I took a second job. But I no longer open up tin after tin of cat food to find one they like. I’ve set a limit of nine. And I’ve canceled the cats’ animal enrichment classes with Ulma. They were catty about this for a while. Until I explained it’s just so we can pay off the second mortgage we took for the addition to their all-weather screened in catio, and to pay for the robo vacuums they play bumper cars on. Besides, I have put my foot down. No cats are eat from our plates anymore. I bought them their own bone china. And I don’t jump up each time they want to leave the room. All the doors now have cat flaps. Meantime, I’ll just finish massaging Nolan Nolan’s temples--he gets those awful sinus headaches when he stays up late. Then, maybe I’ll surprise the kitties with a real treat. I mean how hard can it be to give a cat a French manicure? Finally, if you're like me and hooked on a feline, leave a comment and be in the running for my latest cat book, WOMEN WHO STILL LOVE CATS TOO MUCH. The book is on pre-order now on Amazon for those who can't wait to find out if they won. Thanks, everyone. Wow, Mommy's been busy. She hasn't posted here in eons. Well, that's because she's been writing books. I helped her write this new one. Oh, and before I forget, let me introduce myself: I'm Nolan Nolan, the most recent addition to the Nolan family. My sister and brother went to the Rainbow Bridge last year, and Mommy was very distressed. God sent me to help her while she grieves. And now, I'm helping her promote her latest book. WOMEN WHO STILL LOVE CATS TOO MUCH. Nicole Hollander, the supah cartoonist who draws the Sylvia strip, did the cartoons, and Health Communictions, Inc. (the ex-Chicken Soup People) will publish the book. It is available right this very minute on pre-order @ Amazon. And so is Mommy's book, PURR MORE, HISS LESS: HEAVENLY LESSONS I LEARNED FROM MY CAT, because that book's from the same publisher. Oh joy. I just love love love cat books. Anyway, Mommy told me to tell you she hopes youze guys will pick up a copy of the book for yourselves and/or your cat-loving friends. If you should want her autograph (or mine, mine's even better), comment at the bottom and she'll send you a bookplate. Cute, huh? Oh, my sister, Sineady Cat, the Fraidy Cat sends her regards as does Mommy. 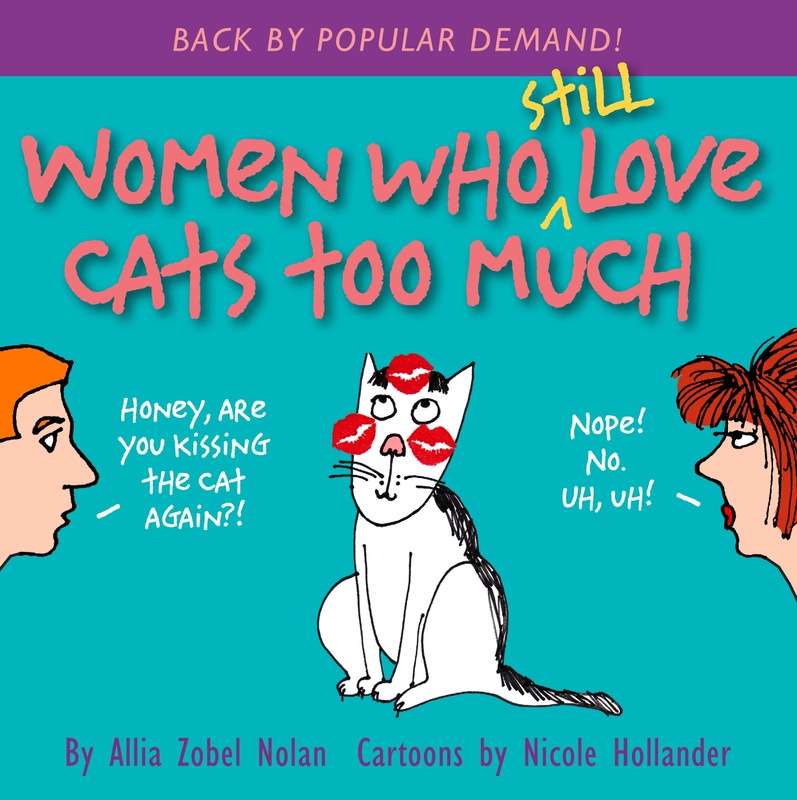 Labels: Cats; women who love cats;women who love cats too much; allia zobel nolan and cats; cat books; when you love your cats too much; can you still love your cats too much. But let's examine how death and Christmas fit into the picture in the first place. "Death came into the world," the Bible says, because of what one man (Adam) did, and it is because of what this other man, (Christ) has done; now there is the resurrection from the dead." In essence by coming back from the grave, Christ rendered death moot. It was set in motion by sin, and that couldn’t change. But because Christ rose, we now know death is not final. It no longer has a hold on us. It can’t hurt us anymore. It’s lost its “sting.” Our Savior, Jesus, has vanquished death, and the Bible affirms the good news. Because the scary part for most of us isn’t so much the dying—but what comes afterwards: final judgment. Our sins make us fear and tremble at the thought of the Almighty. And that’s the worry that Jesus has done away with. By coming to earth and suffering for us, Jesus has removed the fear because He’s removed the sin. Jesus stood in for us, was judged, paid our debt, and God accepted his offering. In that magnanimous effort, our sin slate was wiped clean, and our ability to say “No” to sin and (spiritual) death were secured. Okay, but that doesn’t mean the bodies we’re in now won’t go the way of all flesh. On the contrary, we are temporary people. We are destined to expire. The Bible says “Yet, even though Christ lives within you, your body will die because of sin; but your spirit will live, for Christ has pardoned it.” So it’s as though we get rid of our outer casing which was dust in the first place and will decompose back to dust, and free up the other part of us, our spirit, to be joined to the new improved bodies Paul tells us about. Actually, Paul says that getting rid of these earthly bodies is a prerequisite to getting into heaven. He says, “These perishable bodies are not the right kind to live forever.” And if that’s the case, why anguish about letting them go? Kitty Literate's Blog: Preview "BECAUSE OF CHRISTMAS DAY"
Hi, I'm Allia Zobel Nolan, also known as Kitty Literate. 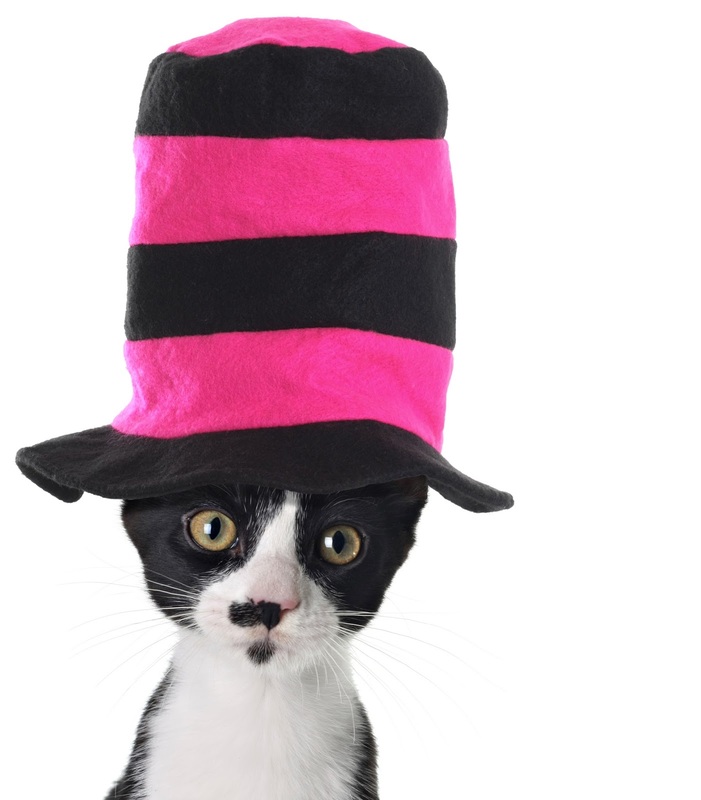 Readers recognize me for titles such as Purr More, Hiss Less:Heavenly Lessons I Learned From My Cat and 101 Reasons Why Cats Make Great Kids. But I've written over 170 children and adult books, chief among them are The Worrywart's Prayer Book, Cat Confessions: A Kitty Come Clean Tell-All Book; The Ten Commandments for Little Ones, and more. New Releases in 2012 include:Hugs & Kisses, God from Kids Around the World; Dog Confessions; I'd Rather Be a Cat: The Official Better than Dogs Cat Book, and WHATEVER: LIVIN' THE TRUE, NOBLE, TOTALLY EXCELLENT LIFE. Look for them wherever books are sold and online. This blog is copyrighted. No part of it may be used without permission. Thanks.